Here’s a little-known fact: A passenger railway still serves the Chippewa Valley. 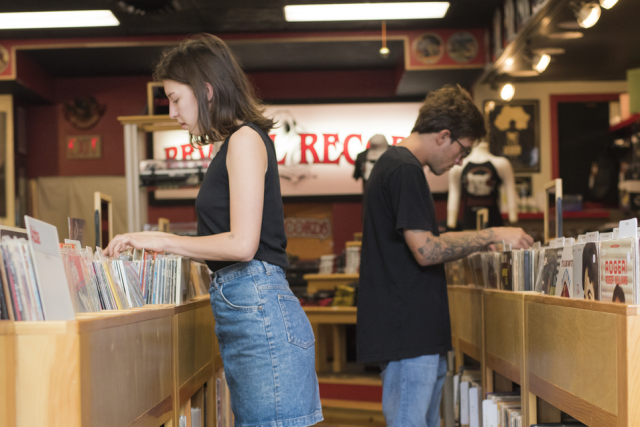 Tickets are inexpensive, service is friendly, and the scenery can’t be beaten. 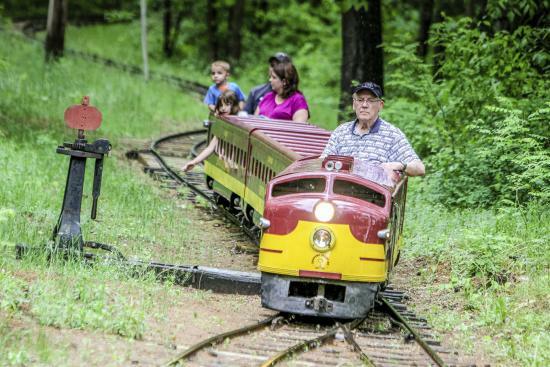 Of course, passengers are just choo-chooing around in circles, but that’s part of the charm at the Chippewa Valley Railroad, a miniature trail line that winds its way through Eau Claire’s beautiful Carson Park. 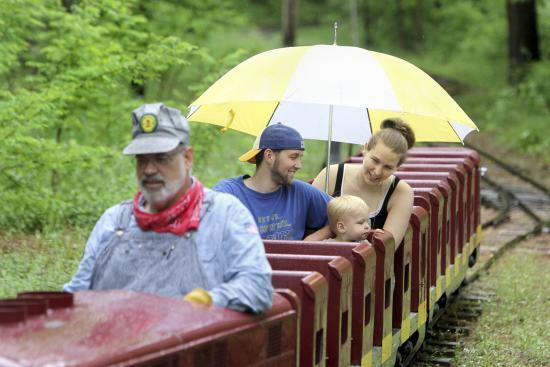 Every summer for more than 40 years, volunteer engineers and conductors oversee the fully operational railroad, much to the enjoyment of children and adults alike. Between 5,000 and 6,000 visitors per year travel the tree-lined half-mile loop through Carson Park, which is located in the heart of Eau Claire. You’ll find the railroad station nestled in the trees across the street from the Carson Park baseball stadium’s parking lot. Buy your tickets at the depot (if you’re like my family, you’ll want to get enough for a few trips), where you’ll see photographs chronicling Eau Claire’s railroad history. Before you board, take the time to chat with members of the Chippewa Valley Railroad Association, who maintain and operate the railway. Their knowledge of local railroad lore is matched only by their enthusiasm for bringing the days of steam (and diesel) back to life. Near the station, you’ll find an authentic piece of Chippewa Valley railroad history: the Chicago & North Western Railroad Tower, built in 1896, which was relocated to the park in 1991. Restoration of the tower is ongoing, but for now you’ll have to be content to admire it from the outside. Once you’re ready to ride, climb aboard one of the passenger cars, hand your ticket to the conductor, and listen as he shouts the names of the stops on the line (“Truax! Half Moon! Carson!”) while the engine chugs to life. 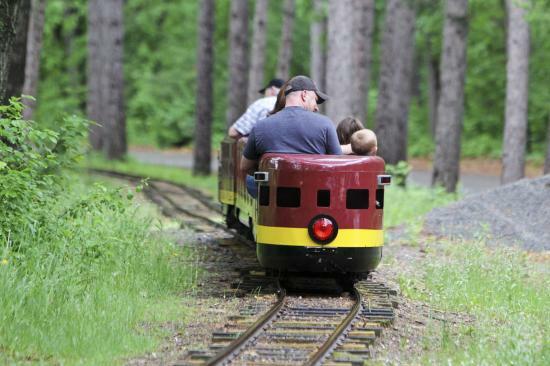 Prepare for a childlike grin to appear on your face as the train picks up speed along the tracks, which are just 16 inches wide (roughly one-fourth the width of a standard-gauge train). The railway follows a meandering route through the park, giving passengers glimpses of Half Moon Lake, tall stands of pines, and even a hobo camp. One ride is rarely enough, however, because two trains run on the railroad. A coal-fired steam locomotive pulls 1880s-style wooden coaches, including an open-sided excursion coach, which makes enjoying a ride easier for older adults and other passengers with limited mobility. Once you step off the steam train, wait your turn for a seat in a streamlined passenger coach pulled by a diesel-powered engine. All you’ll need is a fedora to feel like you’re stepping into a miniature version of a 1930s noir film. Whether you’re a certified train buff or an absolute novice, the Chippewa Valley Railroad is a nostalgic and educational time warp to a bygone era. The railroad is open noon to 5 p.m. every Sunday, Memorial Day through Labor Day, as well as on July 4. Tickets are just $3 for adults and $2 for kids (and tots under 2 years of age are free). Learn more at chippewavalleyrailroad.org.